What is Home? Where is Home? At the writing group for parents and toddlers this morning, we opened the door to the playhouse and discovered a sleeping bag and mats, and that thick morning scent of sleeps in small places. We left food and bottled water and a little note saying Hope You Are Well. What an inadequate note. What else would we write? The pen felt full of apology. Then full of fixes it wanted to offer. I wanted to ask: What are your Stories? I wanted to leave books with the food. I see the playhouse, dry and warm, in the centre of a circle - then the tranquil gated blossom garden around it - the gentle privileged town around that - then a county circle around that, the white cliff sea on one edge and the guardian Downs on the other. The circles widen beyond that, half of England, half of the sea. Boats and trains and motorways that have sped through these circles to bring the sleeper to here. In which circle sits the 'Home'? Or does home imbue every circle? I'll go back tomorrow, with more useful things. Maybe I'll leave a book. Part of me feels patronising even writing this, romanticising disadvantage and sentimentalising vulnerability. Waxing lyrical about home and homelessness on a middle class blog or Instagram post brings uncomfortable parallels with the idea of the Noble Savage. But I did find something poignant here; something moving about the idea of sanctuary, and the relief I imagine someone felt when they stumbled upon this little shelter in a safe walled garden. These thoughts come a few days before I'm due to be involved as writer-in-residence with an art exhibition in Brighton. 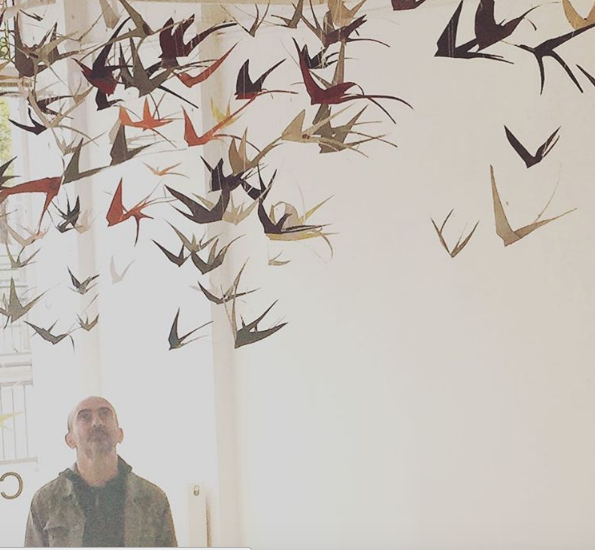 SWAY at the ONCA gallery explores ideas of home and displacement, journeys, identity and belonging, through the metaphor of swallows. Hundreds of origami swallows are suspended in great flocks from the ceiling in vibrant colours. Each is weighted in place with a coin from countries all over the world. Some are made by visitors, who write messages on the wings. It is the passion project of Solange Leon, a dynamic vital artist who herself is a many-journeyed, richly-heritaged human, developed in response to global socio-political crises, the refugee pandemic, Brexit, closing borders and the stories this all is creating. 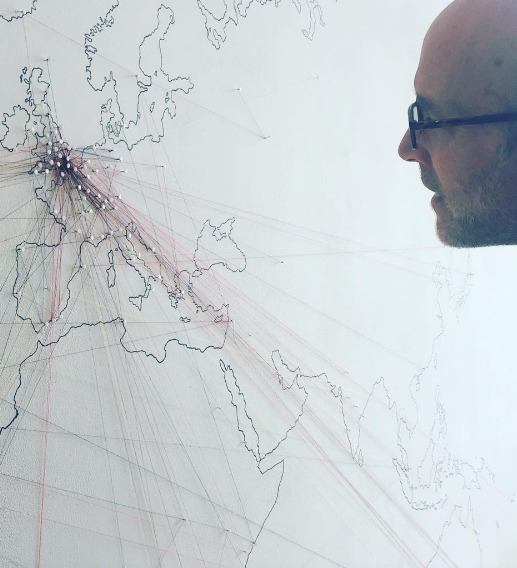 A beautiful drawn world map on the wall is embroidered with delicate coloured threads as each visitor to the exhibition leaves a visual record of their own migrations. 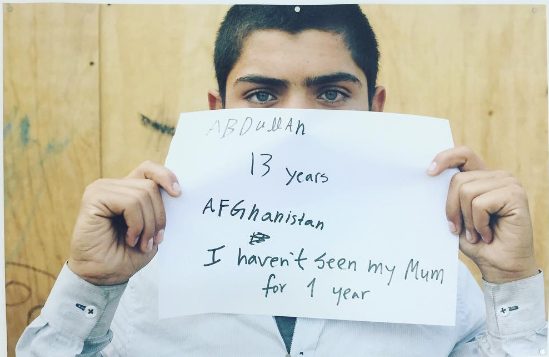 Downstairs, an exhibition of photographs by Lilian Simonsson documents children in refugee camps. Visitors can also add their own ‘voice’ to a new dawn chorus arranged by John Warburton, incorporating original songs from more than 24 different countries. Throughout the exhibition, visitors have been contributing words, text and story about their own experiences and at the closing night event on Sunday at 4pm I'll be weaving these into stories in response to the work. I'd love to see you there and perhaps share your own story too.